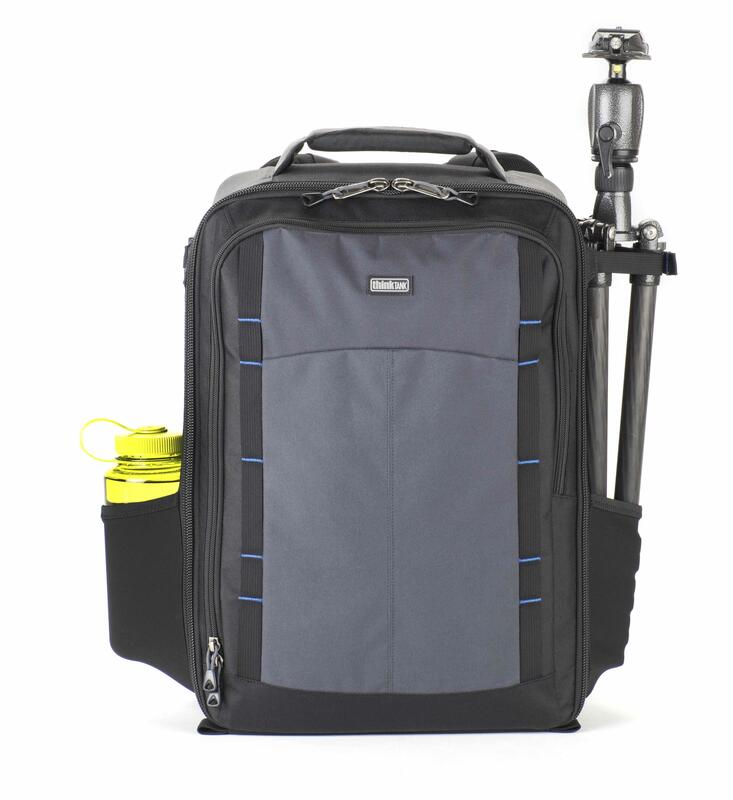 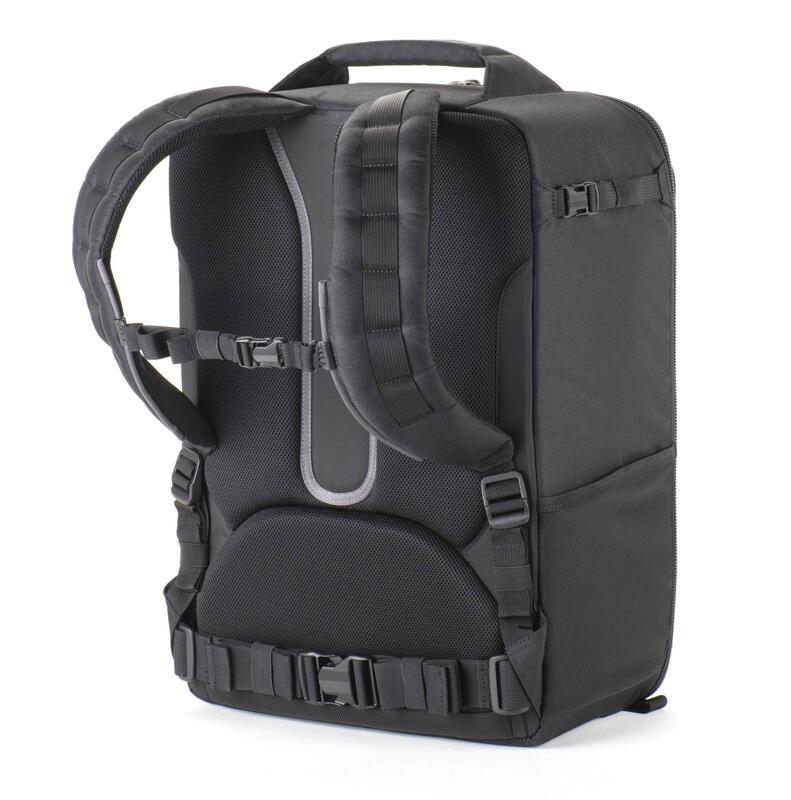 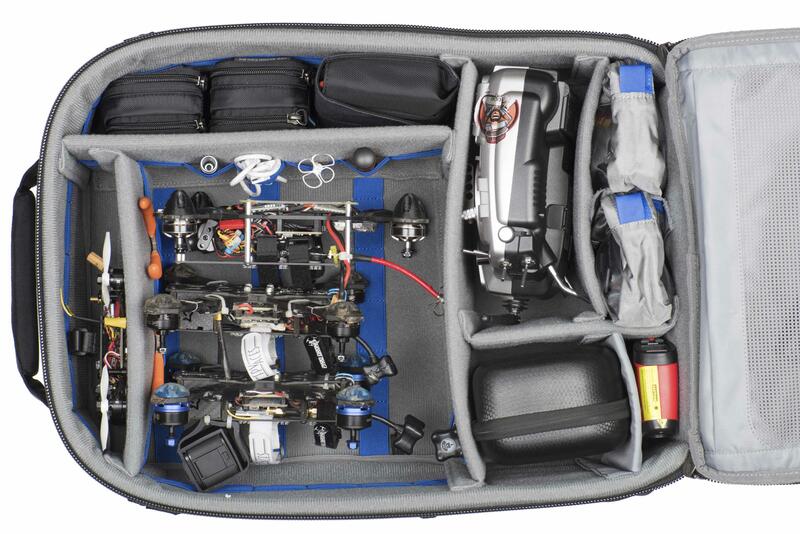 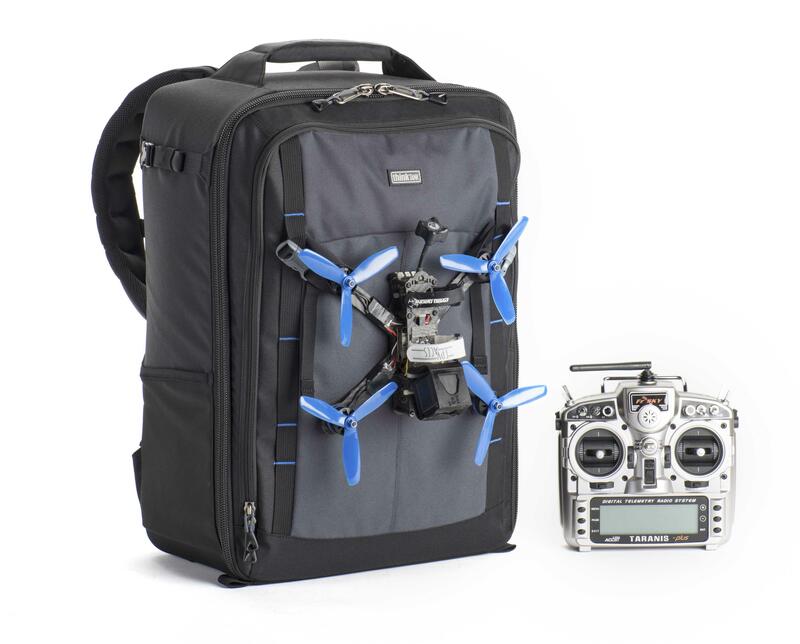 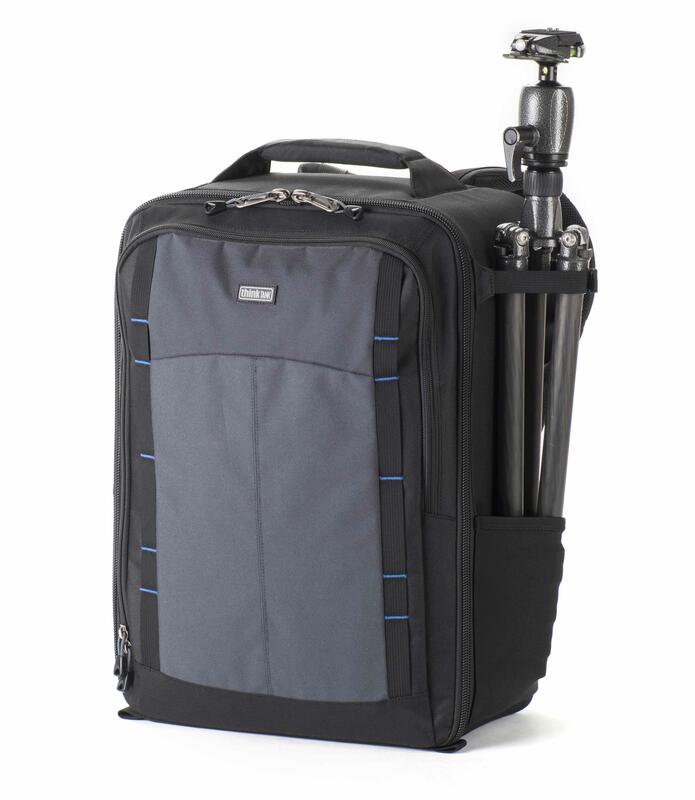 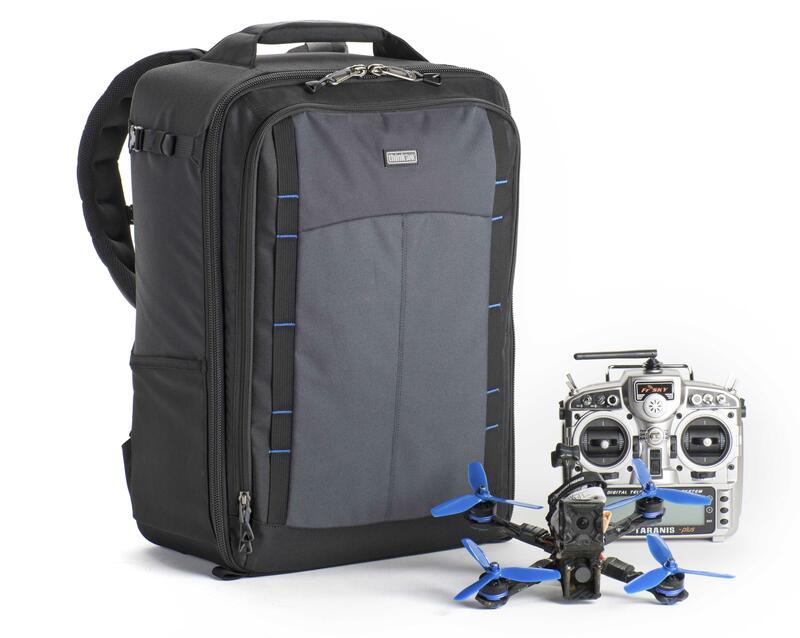 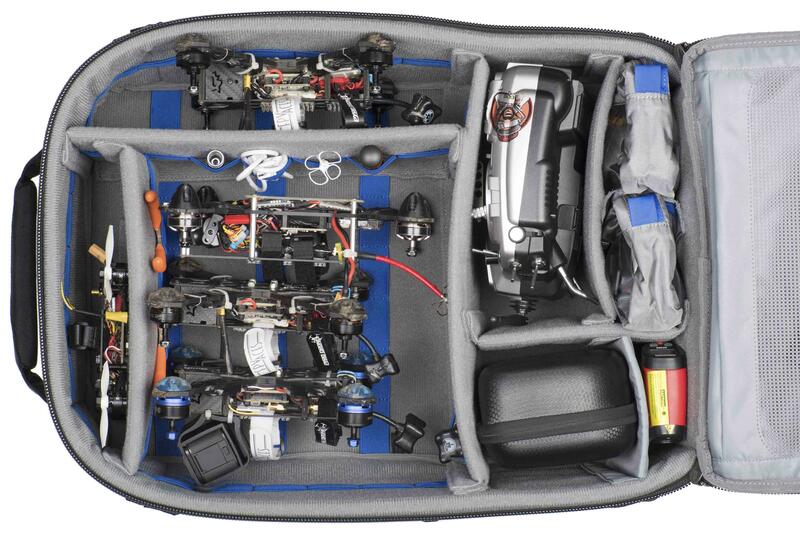 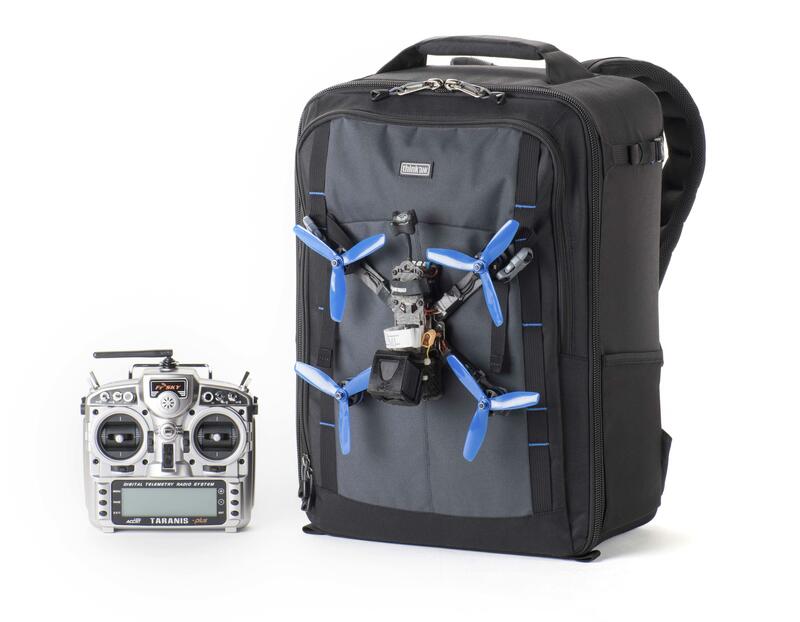 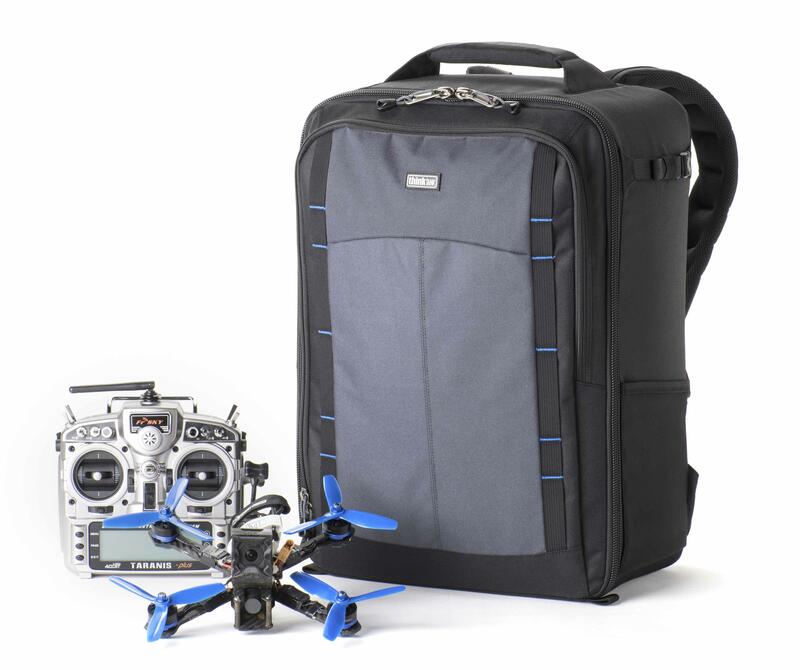 The FPV Airport Helipak Backpack is built to transport your entire FPV multi-rotor racing kit to your event location. 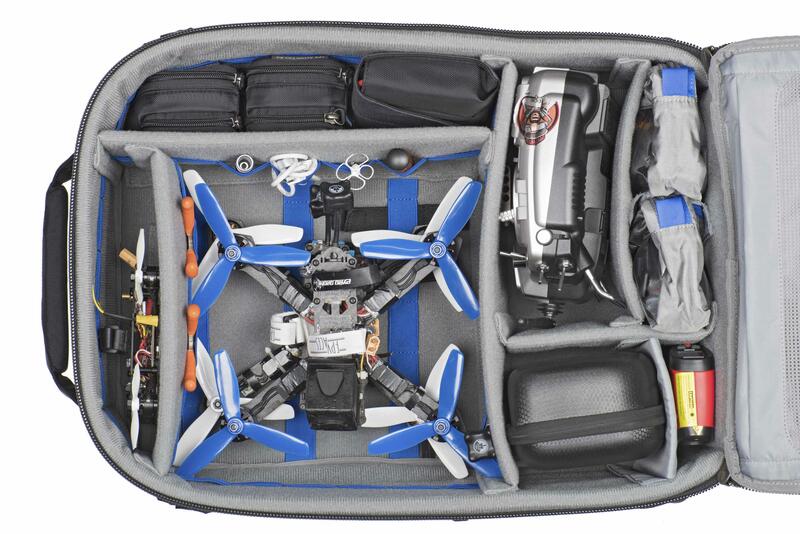 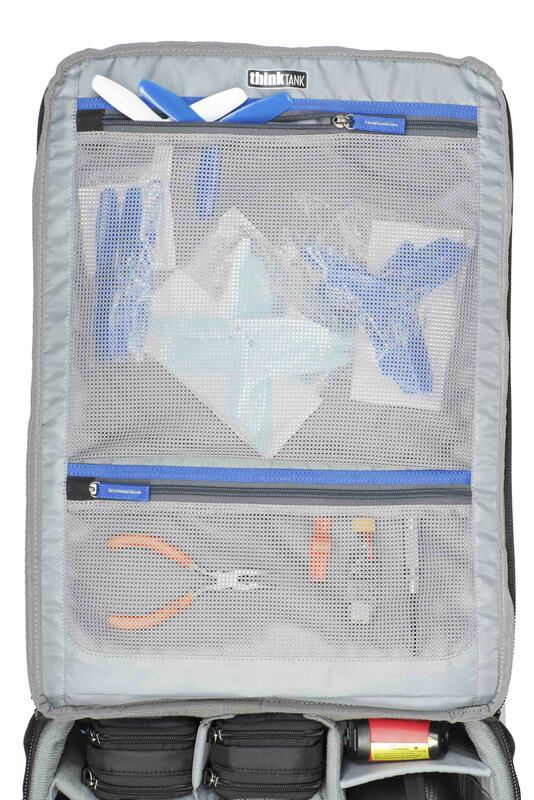 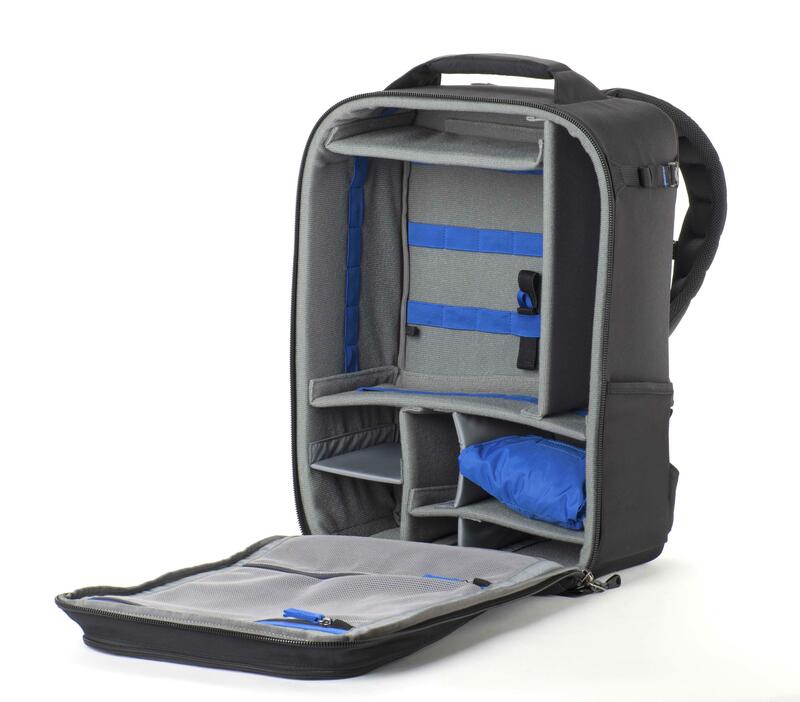 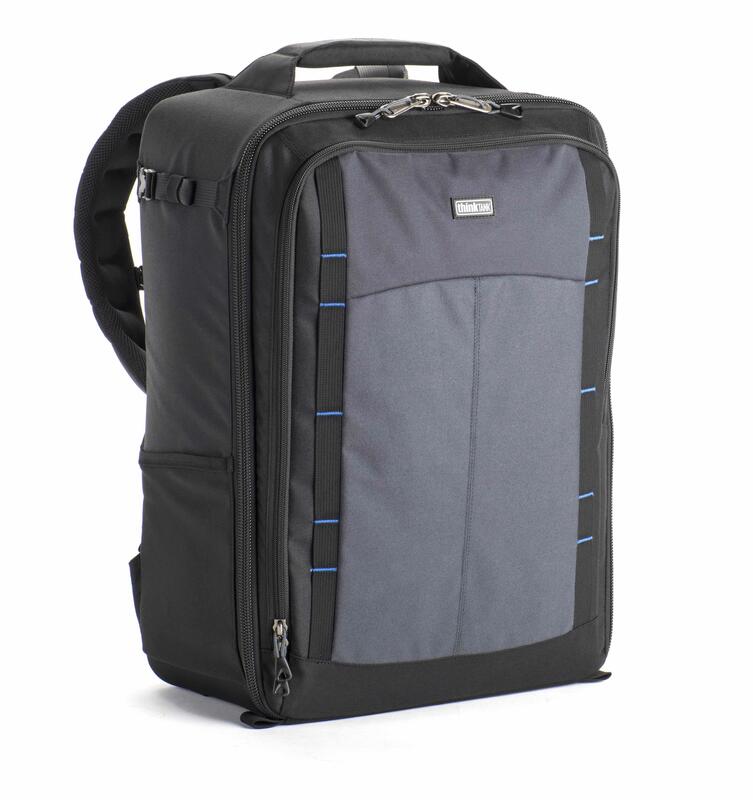 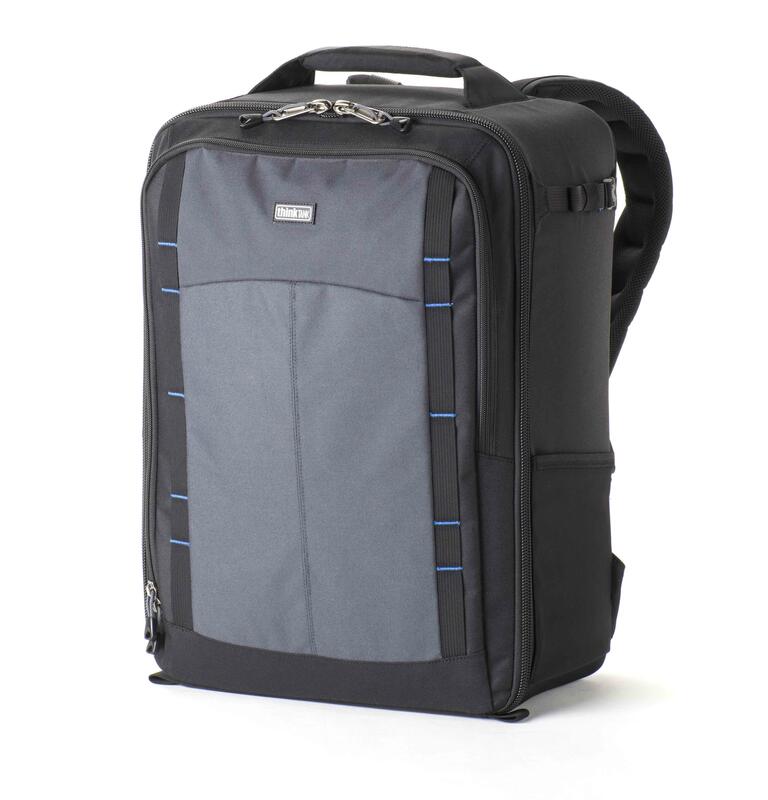 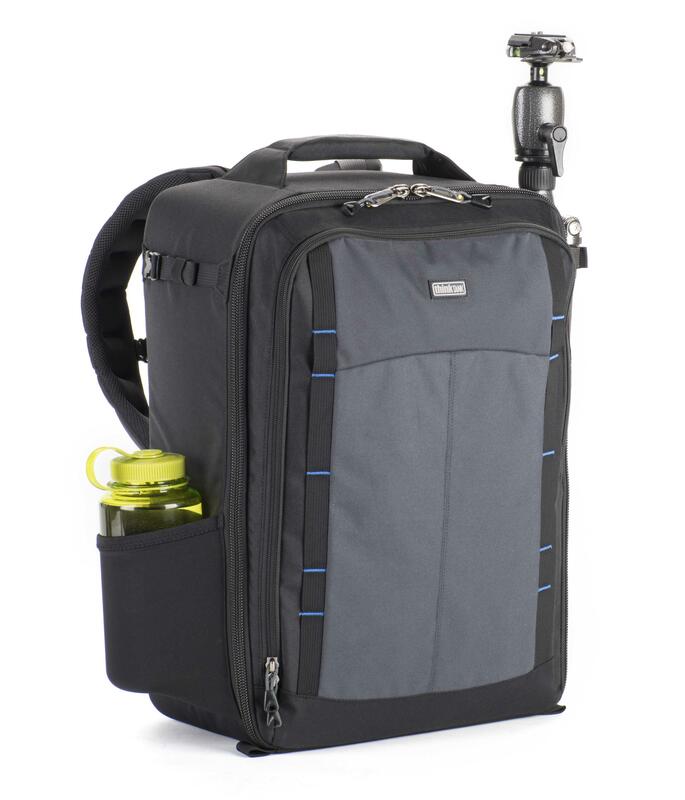 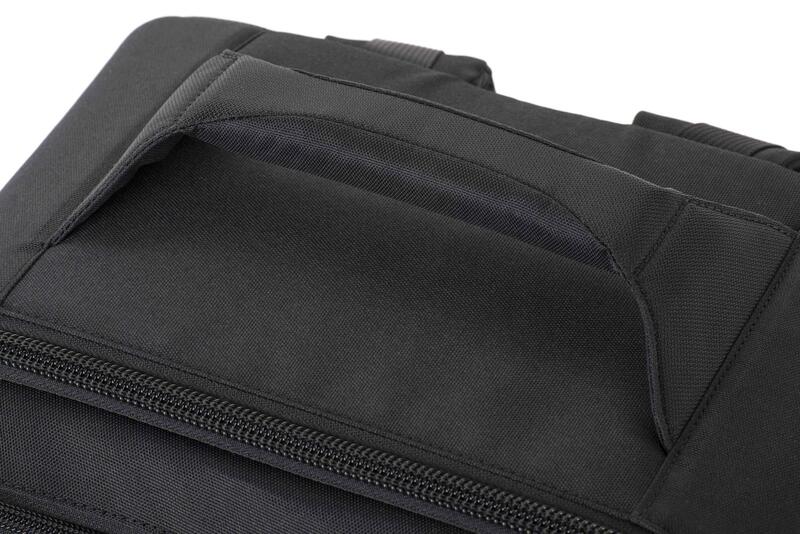 This comfortable “pit stop in a bag” holds all your drones, tools, gear and accessories, and is designed to meet most U.S. domestic and international carry-on requirements*. 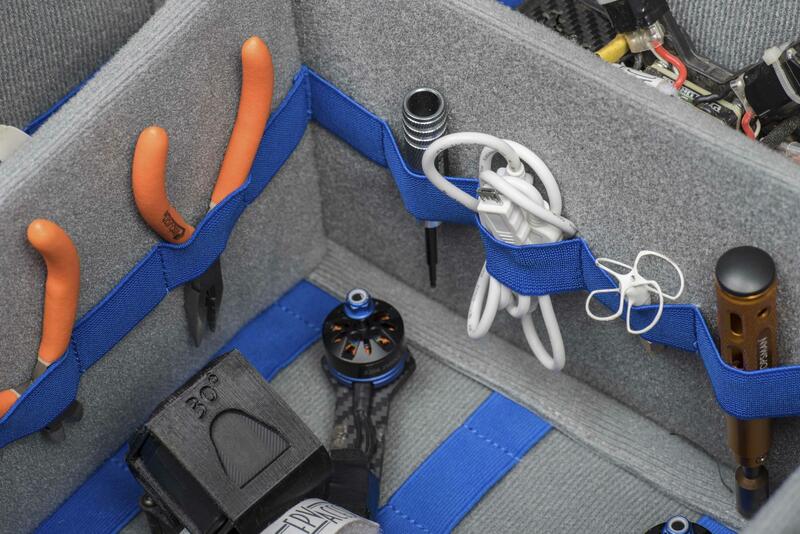 Customisable dividers and internal attachment points enable numerous layout configurations. 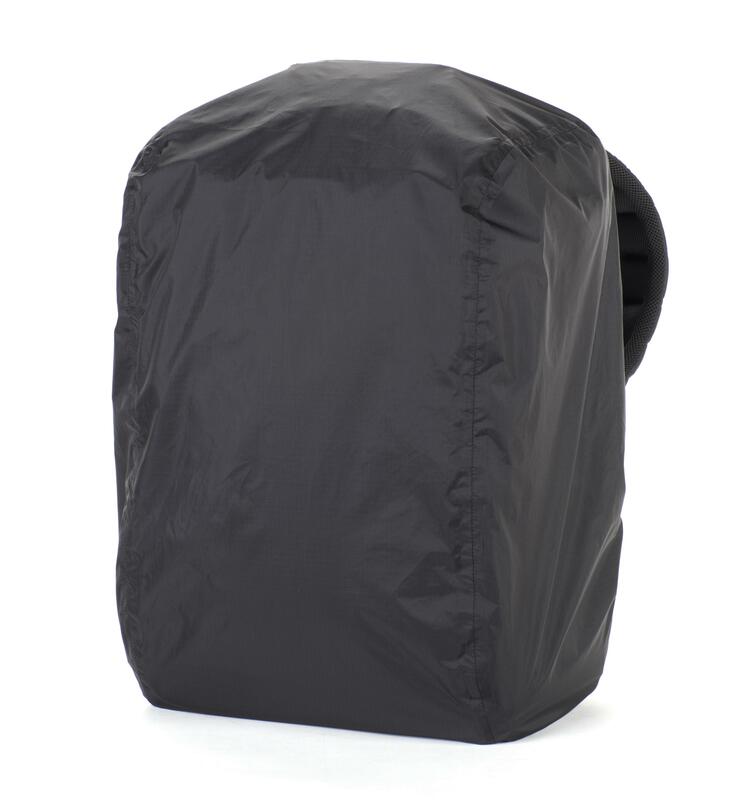 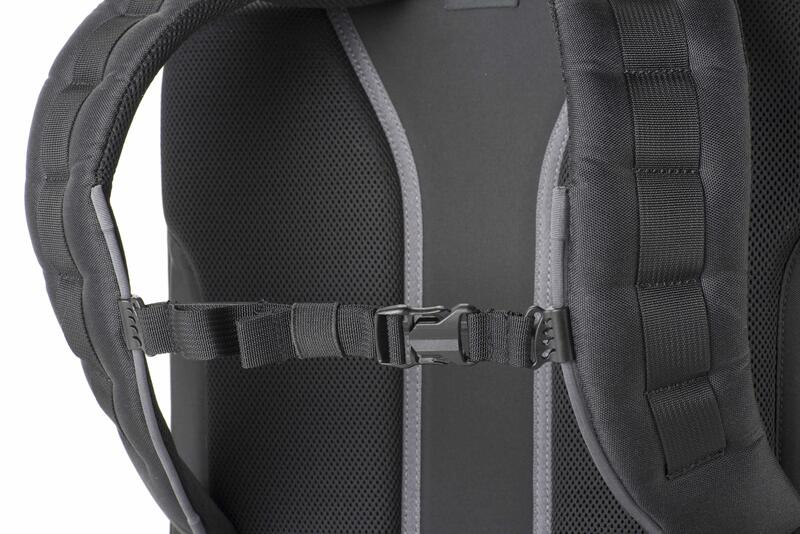 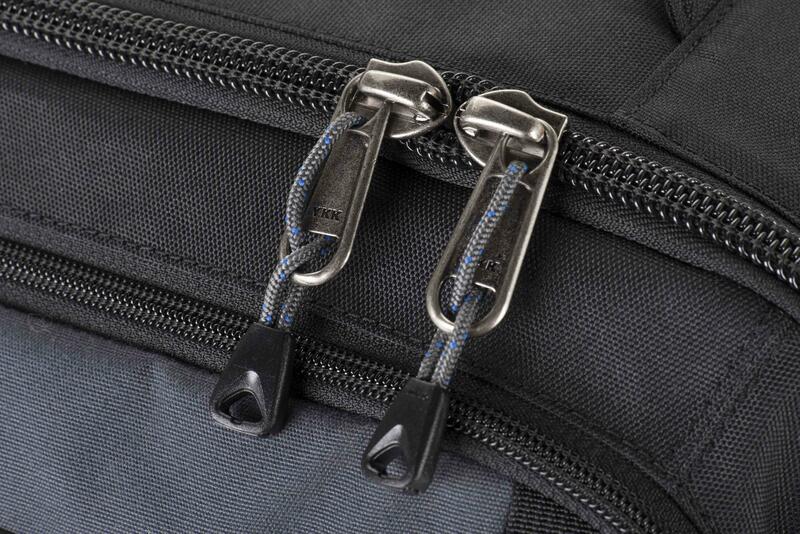 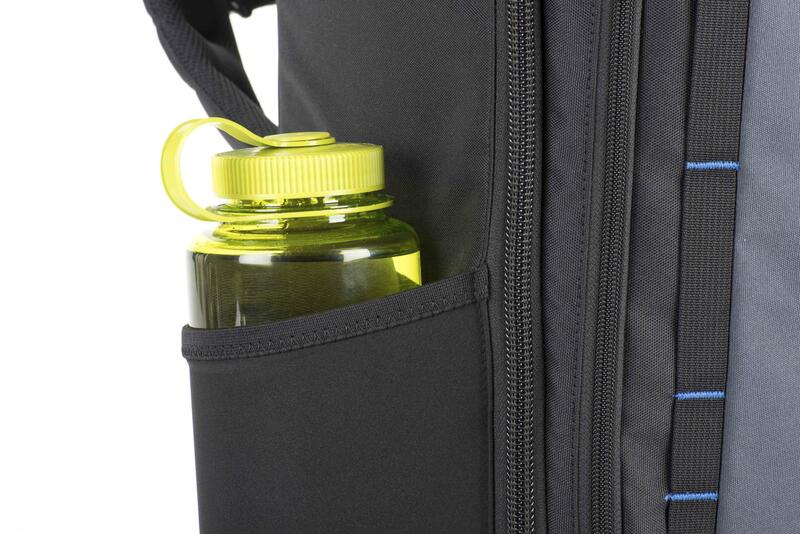 Robust handles ensure rapid and easy retrieval from overhead bins, car boots, etc.